Zestos: Enabling life through communication of research: Is the medication making your child drunk? 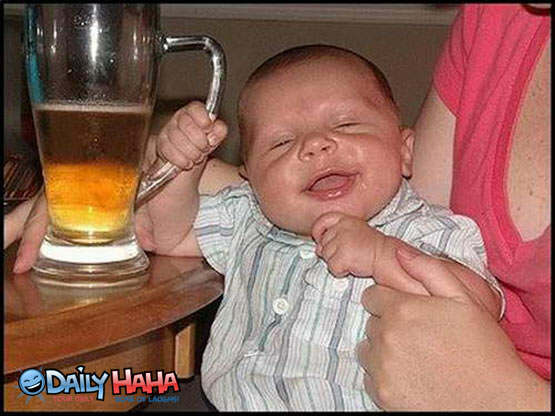 In 1986 the American Academy of Pediatrics recommended to "have alcohol removed from liquid preparations for children." Thirteen years later in 1999 some Italian researches found 103 drugs currently in pediatric (child) use that all had the potential to deliver a blood alcohol level of 20mg/100ml. To put that is perspective adult drives in NZ are allowed 80mg/100ml but for drivers >20 years old the level is 30mg/100ml. This this level of 20mg/100ml is very close to the maximum alcohol level allowed for teenage drivers. So it is quite a significantly high level. What is even more staggering is that the paper then states "it is worrisome that chronic passive exposure to this bioactive substrate and its metabolites without clinical need or benefit for therapy has not translated into antagonistic literature. " Say what?! In non techy speak they are saying that no body has ever looked at what effects there are feeding these levels of alcohol to kids! They go on to say "An effect on chronic exposure to ethanol and its potentially toxic metabolites has not been assessed in terms of safety or risk in a paediatric setting, although mounting such a study would be both ethical and feasible." Some of these drugs were drugs that children were likely to be on long term such as cough mixtures and asthma medication. Thus they would be exposed to this high blood alcohol level over some considerable time. Yet on data exists on any negative effects that this has on kids. They also looked at Over The Counter (OTC) medications. And and herbal unsurprisingly they found many cough syrups that could deliver high levels of blood alcohol. They also found many homeopathicpreparations with high alcohol levels. This is no surprise as homeopathic remedies contain almost no active ingredients, so are diluted down with water or alcohol. Herbal preparations called tinctures, are highly alcoholic as both water and fat soluble compounds are extracted from plants using alcohol. Interesting enough they found common soft drinks had alcohol in them, abit in very low concentrations. Sprite had 0.48ml of alcohol per 100mls and Coke had 0.13ml per 100ml. Now these levels are low. I suspect that they would come from disinfectants or cleaners using in the processing. However it shows how ubiquitous that alcohol has become. They also found bread also contained alcohol. I was very surprised at this to start with until I figured out that the bread was created using yeast. And yeast is using to brew beer/wine etc. They are different types of yeast optimized for each function. However yeast in bread making obviously also creates alcohol giving levels in 1-2ml per 100g. So in NZ conditions were a typical loaf is 750g it would contain 7.5-15ml of alcohol. As this is pure ethanol, this would equivalent to about 1/2 a glass of wine.